By ‘simulation’ I do not mean anything on a computer, no no. This simulation is going to take place on the same matchdays as the current SPFL. On each match day, teams have been randomly drawn to play each other, I compiled this fixture list a while back, before the 18/19 fixtures were released. On each matchday, however many goals are scored by said team, is how many they score in the simulation, for that game week, against whichever opponent they have that week. The teams will all score the same amount of goals they scored in the real SPFL Match & the simulated match for each game week. 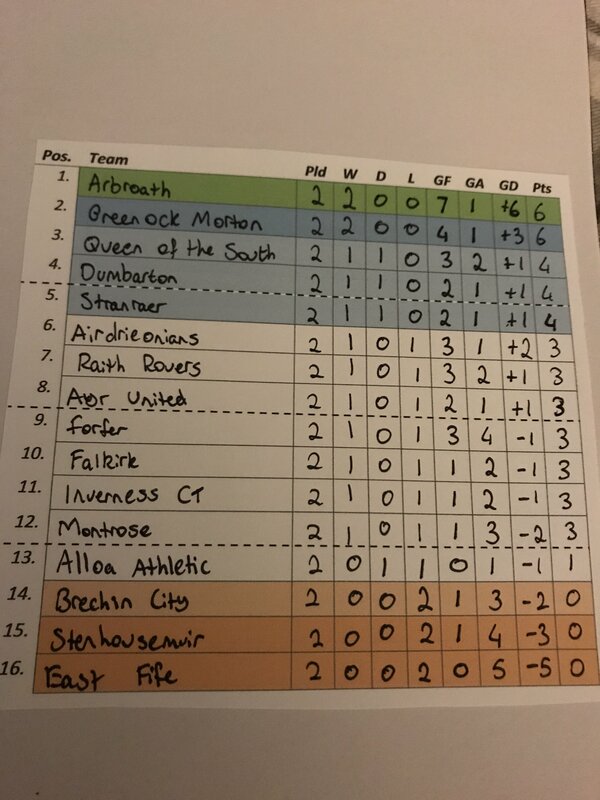 I hope this clears up the basics of this little project I’m doing, this thread will be updated after every Matchday with the updated league table & Fixtures for the next round of games. 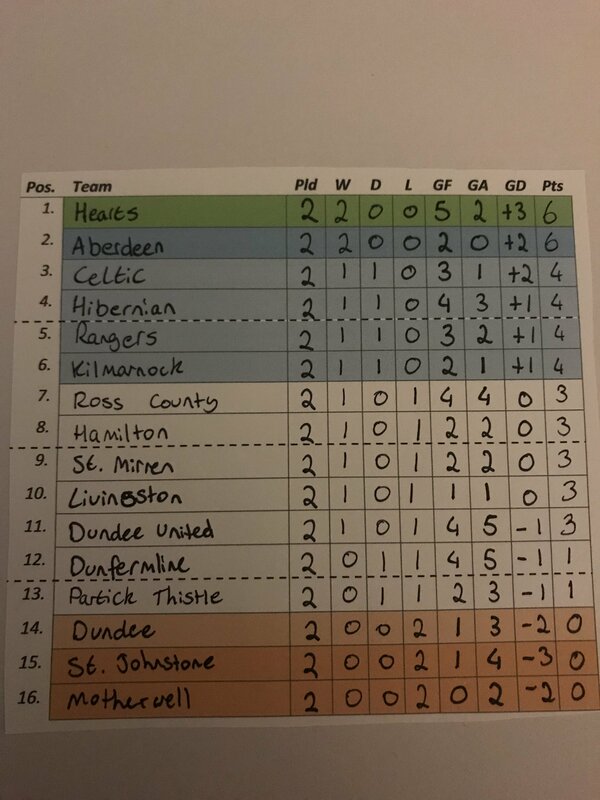 For consistency sakes, I am only going to be simulating the top 2 divisions, however teams in the current SPFL League 2 will still have a chance at promotion come the end of the season. 3x leagues of 16, premiership, championship & Third Division, regionalisation after this. Each league uses the same format. All 16 teams will play each other once at home and once away for the first 30 games. After this, the league will be split into 4, 1-4, 5-8, 9-12, 13-16. These teams will then play each other twice more, once at home and once away, bringing a nice grand total of 36 games per season. In the premiership, 1st qualifies for the champions league first qualif round while 2nd automagically qualifies for europa league first qualif round. The teams ranked 3-6 will then play 2 legged play offs (3v6 & 4v5) with the winners then playing another 2 legged play off to decide the final Europa league spot. If the Scottish cup winner happens to be one of the teams ranked 1-6 in the final league standings, the team in 7th will then participate in the europa league play offs, again 4v7 & 5v6. teams finishing 15th & 16th will be automatically relegated, with 14th going into a play off with 3-5th in the championship, I’ll get on to this in a bit. all in all for the premiership this means that 9 of the 16 finishing spots mean something. The championship works mostly the same way with the europa league play offs being replaced by promotion play offs. Top 2 go up automatically with 3rd-5th going into the play-offs along with 14th place in the prem. teams will play 2 legged semis (3v5 & 4v14) with the winners playing a 2 legged final, with the winner of that gaining promotion/maintaining their premiership status. Relegation works exactly the same, 2 automatically down, 14th goes into the play off. For the top 10 teams in the championship (+all premiership sides) they will all receive a by to the Scottish cup second round. Again, this will increase competitiveness in the games between the teams ranked 9-12.
the third tier works nearly exactly the same as the championship, promotion works exactly the same way, while there is no extra incentive this time for the top 10 teams. At the bottom, the bottom 3 go down with the winners of each regional league get promoted. This format still assures you of 4 OF games a season (unless something goes horribly wrong for one of them) and it should increase competitiveness across all leagues. For anyone asking what the format of the league is. Sounds a bit mental, but could also be fun. Best of luck with it. Remember that you can't have the Glasgow teams or Edinburgh teams both at home on the same day ! & the Dundee teams as well, I’ve made sure where possible that one is home & the other is away. For added realism, when it occurs in the Old Firm matches, he should just ignore it, pretend it didn't happen then send out a media release praising the fans. This looks mental but in a good way. A wee sweepie on the league winner(s) would a good laff. This is definitely mental - Hearts in stupid real life play Celtic this weekend so we’ll likely only score 2 or 3 but in RoscoWorld we’re playing St Mirren who we’d batter in our sleep! - but I’m on board! Hearts will realistically win this, just as they will real-wise, if not this simulation is pish. Next Sat is league cup action so we will be taking a break, SPFL League 1 sides will still have matches however these matches will not count towards simulated gameweek 3 but will instead count towards a gameweek in the future.